Hi guys, just received my DSSD few days ago. 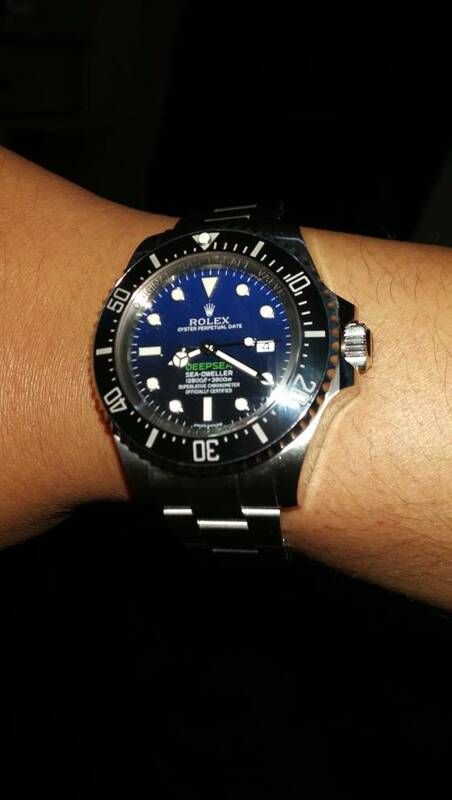 Just a few thoughts, the watch is beautiful and incredibly well made compared to my Noob V7 Sub C.
The bracelets feels more brushed and doesn't have too many sharp edges. 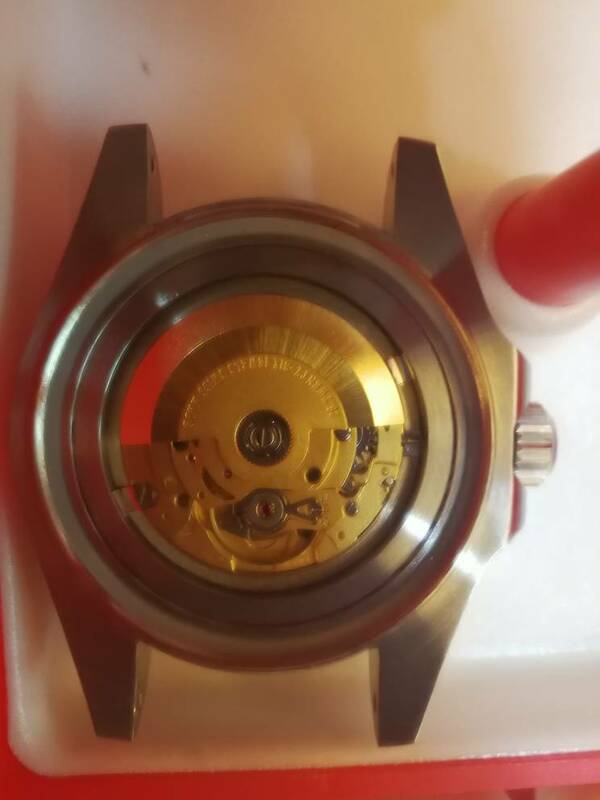 This watch is running with the SW200 Sellita movement and just had it regulated and water tested. There is no rocking on the bezel and the ceramic bearings on the glidelock makes adjusting the clasp feel smooth. However, the only turn off for me is the bezel clicks. It sounds awful, again I'm comparing it to my Sub C. It sounds cheap and the clicks are muted and feels loose. This is the only downside for me. 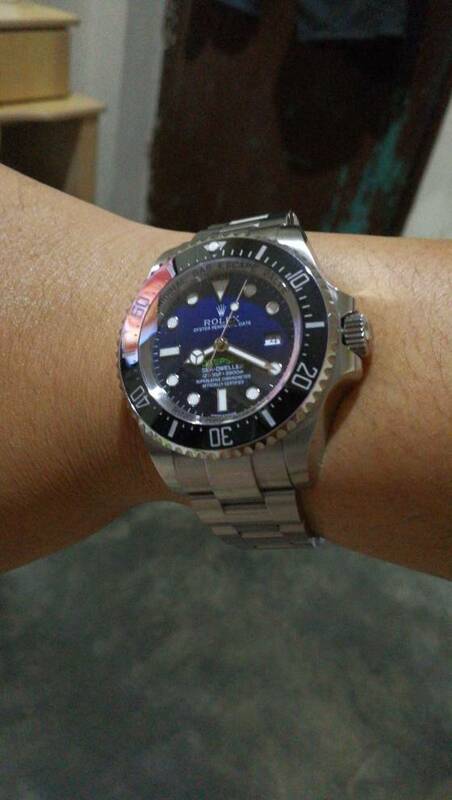 I just bought one of these from a seller on DHGate and it keeps horrible time. Literally 15-20 mins fast per hour. I am looking for a new one. Where did you buy yours? 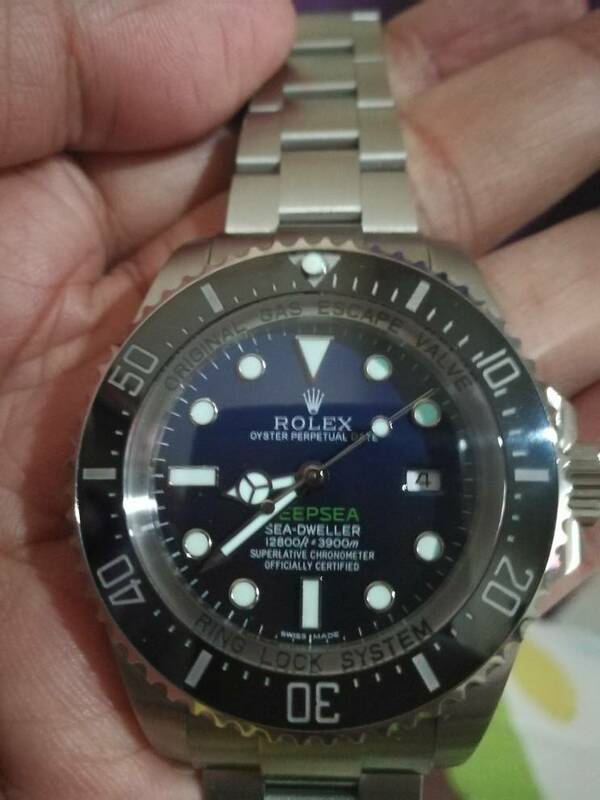 Something doesn't look right with the dial, why not take the red Basel seadweller instead? It is a BK Vac modded DSSD by PbDad with blue pearl and second hand. Bezel is fine, it is the picture angle that caused the distortion. What made you opt for the sellita movement?